Violent crimes involve offenses in which an individual threatens the use of physical violence, or attempts to inflict harm against another person. A violent crime can include incidents in which weapons may, or may not, be involved. These crimes can be classified as either misdemeanors or felonies, and are under the jurisdiction of many courts including state, federal, and juvenile. The most severe punishments are commonly applied to those who commit violent crimes. The severity of the penalties often corresponds to the depth of harm caused to the victim, weather a weapon was involved, and any history of past violence or convictions. If you have been accused of a violent crime in North Carolina, take action and speak with a criminal defense lawyer as soon as you can. The knowledge and skills of a committed criminal defense lawyer are necessary to fight these severe offenses. Why should you speak with an attorney right away? Your criminal defense attorney needs to examine your arrest as soon as possible in order to be the most effective. The completeness of an attorney’s investigation is crucial to obtaining a successful result when arguing your case in front of a judge or jury. Jason organizes an in-depth examination of your charges and the process in which evidence was obtained, in order to find every point of defense and discover any potential tampering of evidence. You need an experienced attorney who can help find a differnt path than imprisonment, negotiate a plea, and reduce or eliminate monetary fines. You need a skilled and dedicated attorney to represent you if charged with a violent crime. 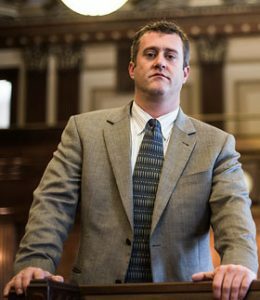 Jason Wilson can be trusted to protect you, your rights, and your freedoms. Contact Jason Wilson for a free consultation, and have the peace of mind that your situation is in the best of hands.